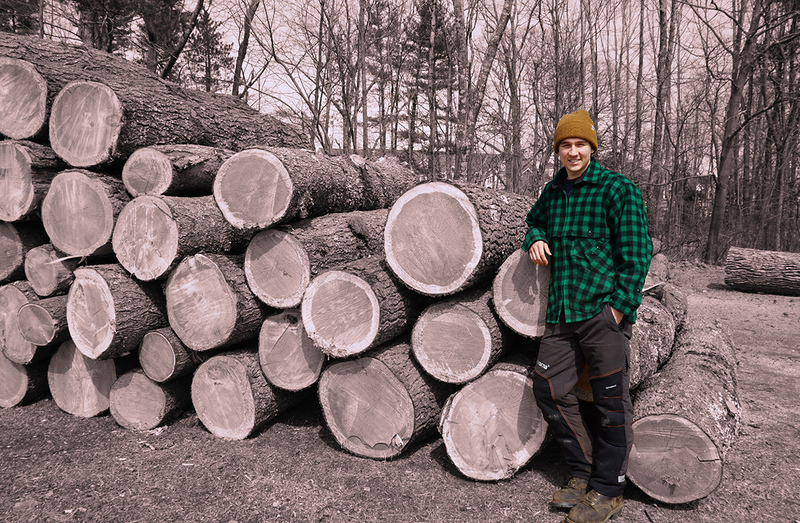 Zachary Simino: I am most proud of the fact that UNH fully equips young men and woman to go out into the forestry world and have the proper knowledge to be able to pursue careers in the woods. It’s a wonderful place to be, and nowadays it seems that young people would rather be inside. Simino: There are a lot of things that motivate me to want to be a forester. I love the forest, trees, wildlife, and everything about the outdoors. The thing that motivates me most in the realm of forestry is my dad. He is a very hardworking man and in my opinion one of the most honest and motivated foresters in New Hampshire. He has inspired me to use my life to try to make the forests of New Hampshire a better place. Simino: The reason I chose forest technology is because it is a very hands-on learning environment at the Thompson School. After high school I didn’t know what I wanted to do with my life, so I took a year off and worked for my dad. I primarily ran a grapple skidder but also assisted him in forest cruising and road construction. It was so much fun, and that’s when I decided I needed a career that would keep me outside. After searching the associate programs near me, I chose the Thompson School because I had heard wonderful things about Don Quigley and Matt Chagnon. Simino: If you are interested in forestry and learn best by actually doing, the Thompson School is the place for you. All the professors are amazing. They will go far out of their way to make sure you succeed. The classes are so much fun, you will be outdoors in the forests of UNH for almost every lab. Overall a wonderful experience. Simino: After graduation I plan to work for a licensed forester for at least four years in order to obtain my own forestry license. I have been thinking about trying to find a forester in New Hampshire to work with other than my dad in order to gain knowledge of how other people do things, but the end goal is to work with my dad. Simino: The classes at UNH provide all primary knowledge of forestry and how to properly manage a forest to its full potential. Plus, lots of other very important skills that are needed such as public speaking, leadership and business classes. Simino: By far the best part of UNH is the Thompson School. It provides a college degree for people who don’t like to just sit in a giant lecture hall for hours. It gives these people a chance to go out and practice what they want to do.